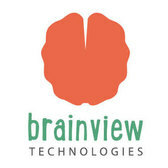 Brainview is developing biotechnology sensors and the accompanying software to measure brain activity in naturalistic, real-life settings and situations. Their newest sensor measures brain activity remotely, from a distance of roughly one meter from the individual of interest. The monitored brain activity and collected data are input into machine learning algorithms to make real-time predictions of the individual’s cognitive and emotional states. 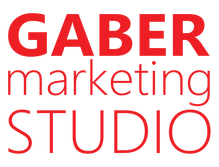 Gaber Marketing Studios is a marketing and advertising firm catering to small and medium sized businesses. Our skills and capabilities cover every aspect of website design and development, online marketing, search engine optimization, pay-per-click, social media, online reputation management, and e-commerce, as well as traditional marketing like branding strategy, logo design, print design and traditional marketing. Proud to Be a Veteran Owned Business. 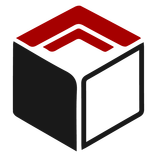 Imajion is a VR/AR software solutions company whose focus is in improving performance enhancement with athletes, first responders, and Department of Defense. They build state of the art assisted learning experiences in Virtual Reality that vastly improve skill sets in a controlled environment. Imajion thrives at creating experts in particular fields that require intense hand and eye coordination and "on the fly" decision making. M. A. Polce Consulting is a firm specializing in IT Solutions, Managed Services and Cloud Computing. We have experience in virtually every industry including banking, healthcare, government, education, manufacturing, and many others. When it comes to our client’s IT infrastructure, security is our number one concern.Whatever your needs may be, we’ve got you covered. 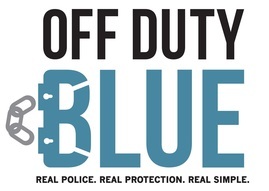 Contact us at 315.338.0388 or info@mapolce.com. 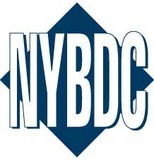 New York Business Development Corporation (NYBDC) is a complement to conventional banking, working in partnership with banks to provide term loans, many of which do not meet the requirements for traditional financing. Our goal is to be more creative in our underwriting. In many cases, we include multiple participations, SBA guarantees, flexible amortization and long-term payouts. 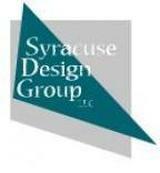 NYBDC also manages the Empire State Certified Development Corporation. Empire State CDC is licensed by the U.S. Small Business Administration (SBA) to provide the SBA 504 Loan Program. A third component of NYBDC is the Excelsior Growth Fund, a not-for-profit Corporation, whose capital is used to promote the expansion and growth of new and existing businesses located throughout some of the more economically depressed areas in our State. Pico Wealth Management, LLC is an independent, fee-only Registered Investment Advisor (RIA) firm that provides financial planning & investment management for individuals and small businesses. SageMyLife™ has developed innovative web-based technology that redefines how we look at our networks. Each of our online network mapping tools are thoughtfully designed to help individuals, businesses and professionals identify and visualize their networks, making them simpler and easier to understand and manage. In October 2015, SageMyLife™ launched its first products for pet owners, followed in November by products for parents of infants and young children. The next roll out will be for working adults, family caregivers and college students. Business and professional solutions are in our future. ​It’s the SageMyLife™ promise that our unique network management tools will change how you relate to the people in your personal and work lives, resulting in a happier, healthier and more successful you! Developing hardware and software technology to scan and analyze the vein structure of the human finger as an authentication technique with wide application opportunities in the banking, retail, education, medical, and security industries. Spark.Orange is a Syracuse, NY based consultancy, and a Salesforce.com Certified Partner, focused on creating, developing and delivering impactful technology strategies and solutions that enable your employees, clients, partners, and community to realize positive growth. We are passionate about solving complex business problems through the use of technology, and are driven by our core values of Honesty, People, and Community. Spark.Orange provides Salesforce.com implementation and automation services, as well as custom Force.com development. SportsXpress is a grassroots, multimedia publishing platform provider dedicated exclusively to the community sports lifestyle! We’re all about the athletes, their teams, coaches, families, volunteers and fans. We publish real life stories and include all ages and skill levels and give a voice to local sport organizations to deliver messaging throughout the community. We are an engaging, true social media, utilizing user-generated content both in print and on-line. Our magazine and web site are designed to inform, inspire, educate, entertain and allow local sports communities to connect in innovative ways! Each edition has many contributors and many local teams and athletes featured — this focus and depth of content is unique to SportsXpress. SportsXpress also provides businesses new and unique opportunities to weave their brand directly into the fabric of the entire community sports lifestyle. It’s your web, it’s our passion. 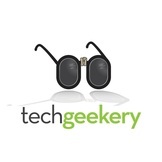 Full service digital agency specializing in web design and custom application development. TangoSquared is a boutique design and development firm based in Syracuse, NY, providing branding and marketing communications design, UX design and implementation, application architecture and development (mobile, portable, desktop & SmartTV), and media production and delivery. WISE, a women’s center for new and existing businesses, helps entrepreneurs get started and supports them throughout their journeys of making their dream businesses a success. WISE provides one-on-one business counseling, training, workshops, and mentorship for women looking to start and grow a business. Their staff and certified business counselors are ready to help women design their business plans for success. 3Es Consulting group is a positive productive multi-empowerment service agency specializing in both civic and personal development. They customize and provide pre-developed trainings, workshops and presentations in the areas of social inclusion, engagement and self empowerment, providing innovative tech-reenforcement tools for clients success. 3ES offers creative innovative social impact consultation and concept services for not-for-profit sector and private sector entities to effectively connect with employees and communities through special programming and projects. Expert facilitation services for meetings, trainings, and retreats are also available as well as bilingual services and interpretation services. EmPower EnCourage EmBrace, Its A Lifestyle! We believe everybody should be actively improving their own Google results without having to pay a company thousands of dollars to do it for them. BrandYourself started when our Co-Founder Pete noticed his Google results were a mess and full of criminals who shared his name. Pete wanted to fix the problem but didn’t know how, and all the most popular reputation companies were quoting him $8,000 or more without explaining what they would even do. We wanted to put the power of these reputation companies in everybody’s hands. We realized some people simply need the tools so they can do it themselves and don’t need to pay an “expert” lots of money, while others need hands on help because they have difficult results or don’t have time. No matter what your situation is, we were determined to build a product or service that works for you. GLOBAL GOOD PR is an agency providing public relations, cause-related marketing/collaborations and event management for brands, organizations, and people who have an underlying purpose to do good. Opterus performs research and development engineering consulting to the advanced aerospace and consumer structures industries. Specific areas of expertise include space structures, composite structures, and highly deformable/folding/deployable/expanding structures. A language service provider serving the community by providing on site professional sign language and spoken language interpreting services. With a roster of 200+ state or nationally certified freelance interpreters, we set the standard for quality of service and professionalism. Tech Bridge International connects people and organizations in Central New York and China for collaboration and commerce by finding appropriate trusted partners and guiding them through to working partnerships/relationships. They work with business development and governmental organizations in Beijing, Foshan (Guangzhou), Shanghai, Tianjin, Xi’an and Wuxi in China, and with CenterState CEO and CenterState Region organizations and companies in New York to promote business development, international trade and cultural exchange. ​Upstate Interactive is a digital agency that works with Upstate organizations and is fueled by an unwavering desire to make a difference. They are driven to propel Upstate forward, unveil untapped potential and ultimately further Upstate New York through digital means. 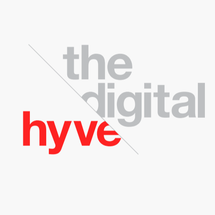 Their services include web design and development, mobile development and content marketing. Upstate Venture Connect is an entrepreneur led not-for-profit helping to grow a new generation of world beating businesses in Upstate NY. UVC is building the elements necessary for creating a sustainable startup friendly regional ecosystem. Our efforts are focused along three strategic paths that will build and reinforce the Upstate startup ecosystem: promoting creative collisions, increasing angel investment and engaging entrepreneur leaders. Join the UVC community and lend your shoulder to the UVC cause! Women in Coding provides affordable resources and opportunities for those interested in coding and design in the local community, including monthly classes and casual events for people to network and connect. Although geared towards women, anyone is welcome to join.